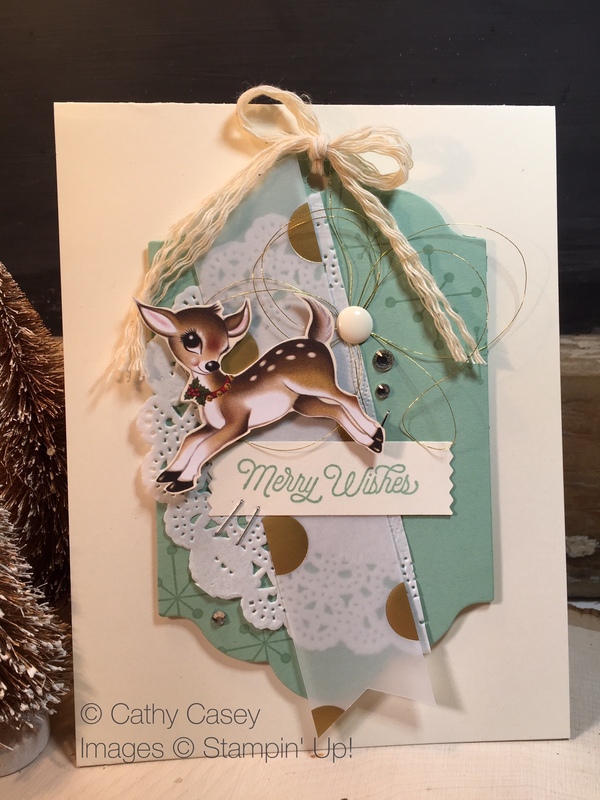 This card came together quickly and easily and it features one of the deer images from the Home for Christmas DSP. Soooo love this paper! The base is Very Vanilla with a centerpiece built on a piece of Mint Macaron die cut with the Lots of Labels Thinlits set. Snowflake images from Jolly Christmas were stamped in Mint Macaron on the label. A bit of doily, a pretty vellum strip, enamel dots and gold thread added lots of glitz to the finished card. The sentiment is from Oh, What Fun, I love this set so much and have been using the sentiments on nearly every holiday creation this week! 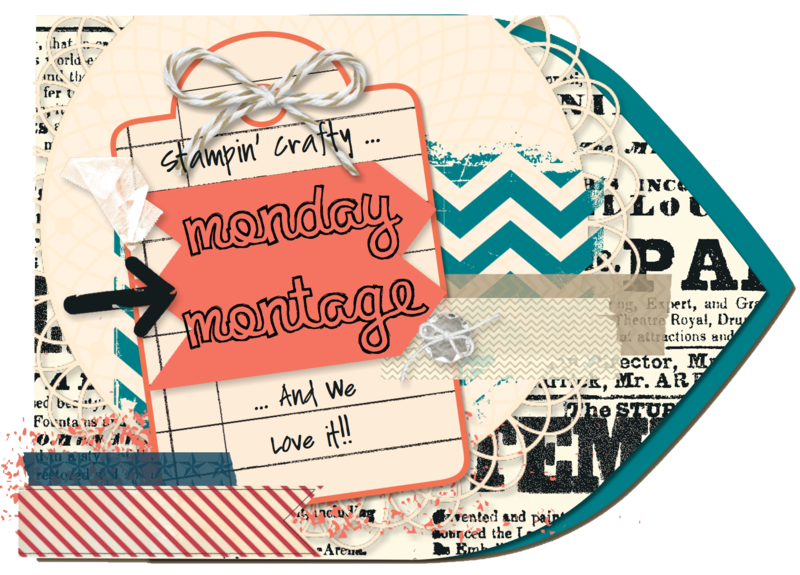 I hope you enjoy our hop today and are inspired to make something pretty! Happy Holidays! Don’t forget the Year End Sale going on now! Check out my specials page for all of the sale items. Our December Daily Online Class is available, don’t feel like it is too late to start! Honestly, I have not actually put one page together yet, that is going to have to happen after the holidays….I’ve just been too busy making memories to record them! But I have my photos and when I have a few minutes in late December or early January, I will have a wonderful book full of this year’s special moments 🙂 See my class link for more information! 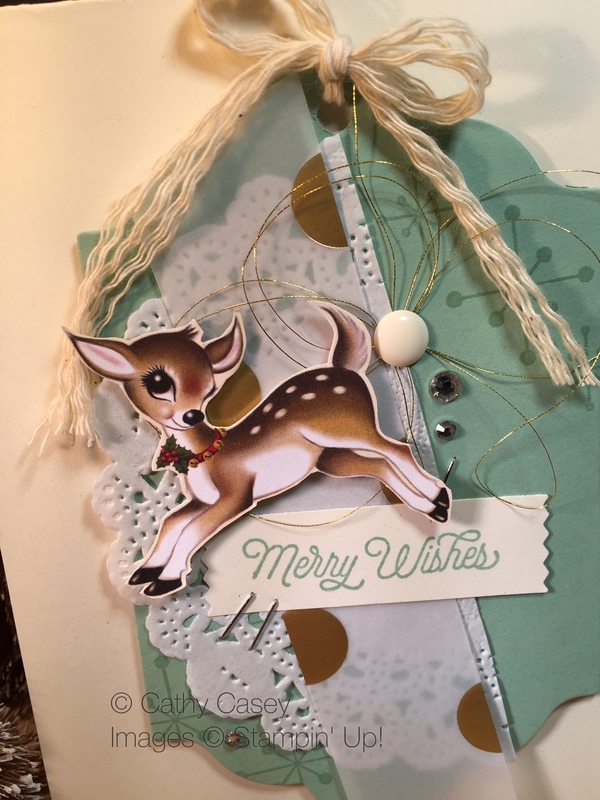 This entry was posted in 2013 Artisan Design Team Finalist, Big Shot, Cards, Framelits Dies, Stampin' Up, Thinlits Dies and tagged Christmas, Create, DIY, featured, Home for Christmas Designer Series Paper, Stampin' Up by kate80132. Bookmark the permalink.